Yesterday afternoon, I stumbled on PBS’s website, which is currently advertising the new Ken Burns documentary — The Dust Bowl — premiering November 18 & 19. My husband and I are both huge Ken Burns fan and have watched a number of his documentaries. So, I instantly added the premier dates to my calendar, since our DVR won’t schedule recordings that far ahead. A few minutes later, Hubby asked me if I have ever been able to confirm whether or not his deceased grandfather Roy D. Pace (1913 – ?) moved out to California during the Dust Bowl migration. My husband’s family currently hails from Bakersfield, California — Okie and Dust Bowl migrant capital. He’d heard that his Pace side migrated from Texas to California in the 1930s — with his Grandpa Pace doing that CCC stint in the Grand Canyon on his way west. And he knew that Grandpa and Grandma Pace had settled in California by the early 1940s, first in Los Angeles and then Bakersfield. 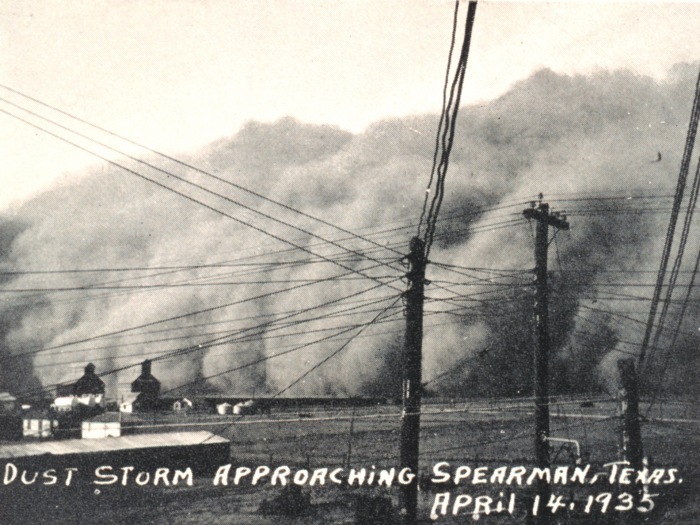 Although parts of northern Texas were struck by the massive dust storms of the 1930s, documents place Roy and Rebecca Pace in southern New Mexico and southern Texas during this time, closer to Mexico than to the Dust Bowl. I hadn’t really ever focused my research on that era of his grandparents’ lives, aside from investigating the CCC connection. Instead, I simply sought out the vital details of their lives (birth, marriage, death) since I was following that documentation path to research ancestral connections further back. So, I spent a good chunk of yesterday evening searching for records documenting their lives during the 1930s and 1940s. 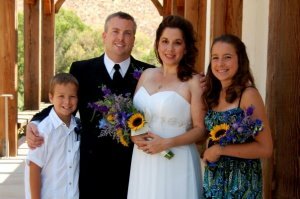 FamilySearch.org gave me my first clue, when cross-searching records for Roy Pace with his wife Rebecca’s name — which instantly gave me a hit for their oldest child’s New Mexico birth index entry, and provided me with Roy’s middle name (Delmar). A couple minutes later, I was able to find the 1940 US Census record for Roy and Rebecca Pace, living in Lordsburg, New Mexico. Shortly after, I found a 1941 Texas birth index listing for their second child. According to this documentation, Roy Delmar Pace and his Nashville, Tennessee-raised wife Rebecca Haley Pace (1916 – 1991) were still living in New Mexico and/or Texas as late as most of 1941. The Dust Bowl migration is generally noted as having ended by 1940. So while it’s possible that they and their families might have been impacted by the effects of the Dust Bowl — I can’t tell this from the records I have so far — Roy and Rebecca would not be included in what historians count as the official wave of Dust Bowl migrants. My Bakersfield-proud Hubby (Drillers!) can’t even claim now that his grandparents were Okies. I hope I didn’t just ruin his Okie credibility with his old redneck Bakersfield buddies. Fortunately, my husband does still have plenty of documented redneck in his blood! Doesn’t this look like Okie Dust Bowl migrant stock? 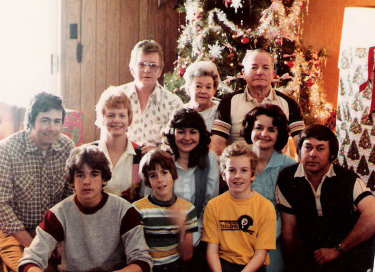 Three generations of Paces — although Hubby and his immediate family lived in Indiana at this time, not Bakersfield. That’s my husband in the front row, sporting the yellow Steelers shirt. Grandpa and Grandpa Pace are in the top row, 1st and 2nd from the right.